Each day you are bombarded with marketing messages. Before the arrival of the Internet, it used to be held true in the marketing world that an individual needed to see a message seven times before they reacted. That’s why coordinated marketing campaigns were produced so that people could see a marketing message in several different places and would then register it in their mind. Nowadays, studies suggest that the “seven messages” notion is way out of date and that people now need to see a marketing message more than 22 times before they notice it. It now looks like that number is going to increase. 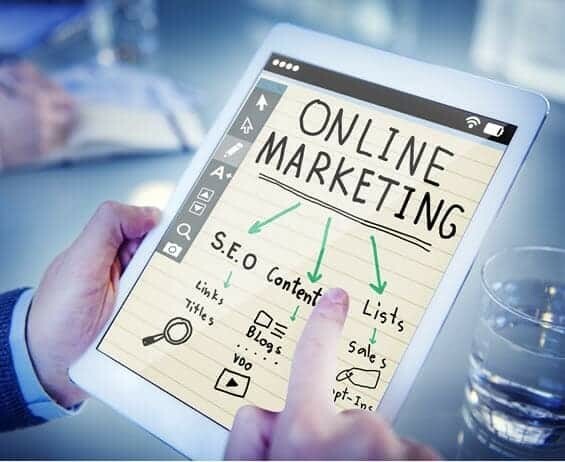 With the widespread availability of more and more possible marketing channels, marketers appear intent on using them all. Indeed, a study by Salesforce suggests that over the next couple of years, marketers are intending to use every available channel to get their messages seen. There is, though, a problem with that. The human brain is finely tuned to filter out repetitive information. The more we see something, the more we perceive it as normal, as part of the everyday and mundane. Such things are not a threat to our existence. So our brain focuses on finding the unusual, the things that are not there every day, the things that stand out. This is part of our survival instinct. Our brains focus on threats and minimising them. Think of it this way. You are an antelope, and you are going about your everyday business in an African grassland. The gentle movement of the grass you see every day, that’s not a bother. Neither is the herd of zebra a few hundred yards away. Nor is it a problem that birds fly past your nose every few minutes. It is all normal. So, you have no need to worry about it. But that unusual twitch in the grass, off to your side, well that’s not normal. The grass doesn’t usually shudder like that. And that’s because it is a careless lion, stalking you for lunch. The antelope’s brain sees the strange twitching of the grass but doesn’t notice the mundane all around it. If it saw the normal everyday things, there would be so much cognitive power required, the unusual wouldn’t get spotted and – bingo – a lion has its lunch. Your brain is pretty much the same. It doesn’t spot the normal, everyday things, but notices the unusual, the stuff that isn’t normal. You can try this for yourself in your office. Spend a few moments noting down some of the things that are present in the room that are what you might call “normal”, such as electrical outlets, books, labels on filing cabinets and so on. Then invite a few people to tell you (without looking) where such things are, what books you have in your room and what the labels on the filing cabinets say. They won’t be able to answer, even if they have been into your office hundreds of times. That’s because all of these things are normal. On another day, repeat your experiment, but this time place something on your desk that isn’t normally there. It might be a bunch of flowers, a bowl of fruit or a new laptop. It doesn’t matter what it is. When you invite people into your room, it won’t be long before they mention the new thing. They will have spotted the unusual, before the mundane. This is now the basis of the problem with modern marketing. With more and more channels being used and marketing messages becoming ubiquitous they are appearing as part of the furniture. They are so normal, we don’t notice them. The more channels marketers use, the more they are making their messages invisible. Humans are very good at avoiding paying attention to things that do not matter. The more often we see something, the less it means to us. Marketers, of course, say that all they are doing is aligning their work with the “customer journey”. This is what is apparent in the Salesforce study, which included more than 3,500 marketing leaders in its research. But therein lies the problem, the modern “customer journey” is confused, unstructured and random. People visit stores, they go to websites, they check social media, they use email, they chat on Snapchat, and they read newspapers, watch TV and increasingly listen to the radio, podcasts and streaming audio programmes. The “customer journey” is no longer straightforward. If you follow that, you are also using a confused and rather random approach, it would seem. If you want to follow the “customer journey” it inevitably leads to making marketing decisions which get your message everywhere that people go. That, in turn, means your marketing message becomes part of the background, it is ordinary and everyday and, thereby, is no longer noticed by the brain that focuses on the unusual. Is there a way out of this problem? One method, of course, is to be even more creative. Make your marketing so unique and different that it stands out amongst the noise. That can be expensive and time-consuming, though. Another alternative method is one adopted by Wetherspoons recently. They have just deleted their entire email marketing database as they have declared they will no longer be sending out marketing messages via email. The company has decided that it no longer wants to send out email newsletter which, according to their message to customers, “many consider intrusive”. What is clear is that Wetherspoons is telling customers there are only three places where you will see their marketing messages – on the company website, on Twitter and on Facebook. Rather than following the “customer journey”, Wetherspoons is telling customers what journey they need to be on. Instead of following, they are leading. Perhaps many marketers are not as “brave” as Wetherspoons. These marketers instinctively know that creating more and more noise on more and more channels just reduces their visibility. However, in spite of knowing this they carry one because that is what everyone else is doing and to do anything different would be “unsafe”. Wetherspoons apparently disagree. So do I. Beneficial information! Foreseeing seeing your notes posted. The information you have posted is incredibly profitable. Keep going on, well done. Thankful to you for this productive information.